Over the holiday, the seed catalogs began hitting our mail box. This is the time of year, we do our garden planning -- deciding what vegetable varieties to add, what to eliminate and how to adjust the garden plan based on our family's changing interests and appetite. I suspect many of our readers who keep chickens are also vegetable and fruit gardeners, so we thought we'd share some gardening resources and ideas. In this first article of a series, we provide reviews and links to some of our favorite seed companies. One of the seed companies, Sandhill Preservation, also sells hard-to-find chicken breeds and so we've listed all the breeds they sold last year. 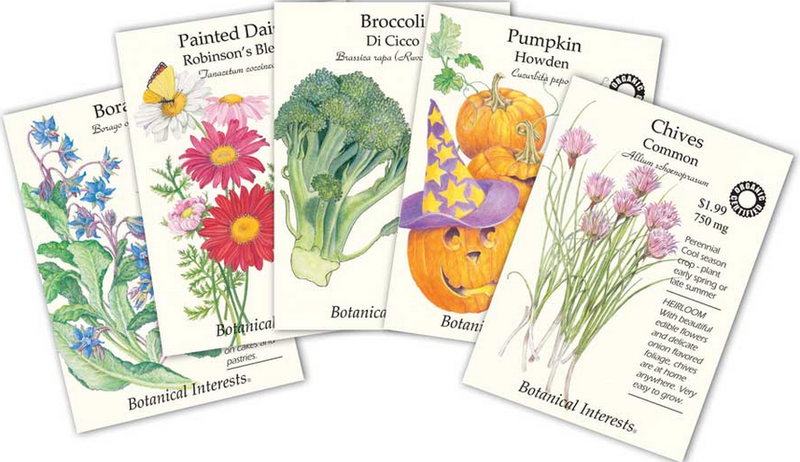 Baker Creek Seed - Baker Creek (Rare Seeds) has an enormous selection of heirloom, seeds. It's one of our favorite seed companies and we place an order with them every year. Baker Creek publishes a glossy catalog featuring gorgeous photos of exotic varieties of tomatoes, squash, and every other conceivable vegetable. I warn you, these photographs will make you want to order more than you have room to plant. Non-GMO. Bountiful Gardens - This is a non-profit seed company dedicated to supporting bio-intensive farming. This is a sustainable form of agriculture that relies on crop rotation and growing a mixture of green manure, vegetables, fruits, nuts and grains that does not require the use of chemical fertilizers. 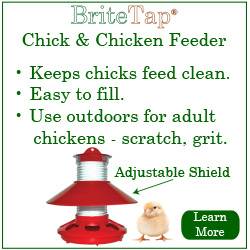 You will find items here that you are unlikely to find in mainstream catalogs like Burpee. Of course, you don't need to be committed to bio-intensive farming to buy seeds from the company. Non-GMO. Burpee - This is one-stop garden shopping selling a wide variety of fruits and veggies as well as garden tools. Over the past few years, Burpee has added heirloom seeds to their catalog, but most of it's offerings are hybrids. Each year, Burpee will have new hybrids on sale to tempt buyers. Non-GMO. Fedco - This is a cooperative that sells vegetables and fruits specifically adapted to conditions in the North East. For years, Fedco required customers to download a black and white PDF catalog in order to place an order. Happily the web site has been updated and customers can now shop online. However, the shopping experience is still pretty poor by today's standards. Non-GMO. Ferry Morse - One of the oldest seed companies in the US and also one of the largest. They don't sell seeds online or through a catalog. 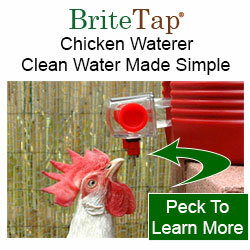 You will often find the company's products distributed in stores like Wal-mart, Lowes, Home Depot, Tractor Supply etc. They sell a large number of vegetables but a limited number of varieties within each vegetable type. Non-GMO. Four-Winds Growers - This tree family owned and operated tree farm sells a huge range of unusual dwarf citrus trees including such exotic varieties as Yuzu, Etrog, and Buddha's hand. But don't let these scare you off, you can find many more accessible citrus varieties such as Meyer lemons, Rio Red Grapefruits, Satsuma Mandarin Oranges, Kumquats, etc on their web site. If you buy online, the trees you'll receive are bare root. However, Four Winds also supplies potted citrus trees to nurseries and garden centers, so check your local nursery before ordering. High Mowing Seed - A good selection of heirloom and hybrid seeds from this company in Vermont. All seeds are organically grown on the company's own farm. Non-GMO. 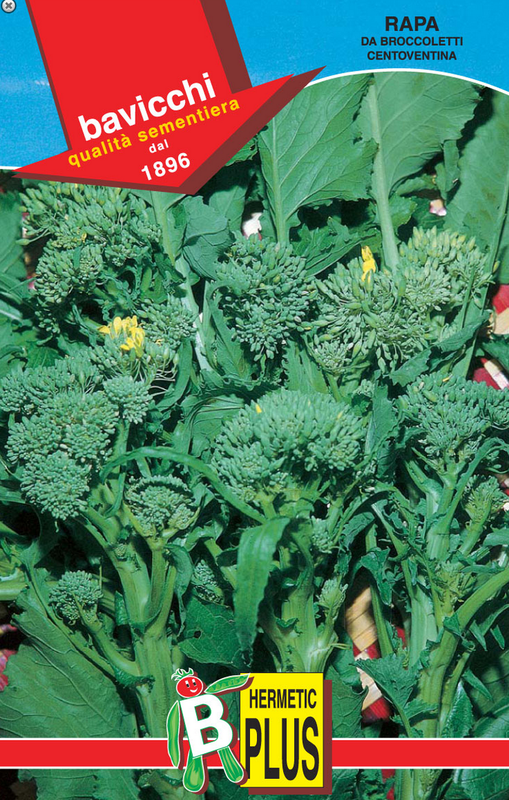 Italian Seed & Tool Company - This company started out as a specialty supplier of varieties from Italy. However, the company now sells a wider range of varieties. If your looking for a specialty green like Agrretti or want to order fava bean varieties that are authentically Italian, than the Italian Seed Company should be on your list. J.L Hudson - This company is both a seed company and evangelist for heirloom seeds and bio-diversity. If you want to support these objectives and order through J. L. Hudson, be aware that they don't make it easy. The online catalog is simply a list of vegetables and prices without photos. There is no online ordering. You can either print out an order form and mail in your order or send them an email request. If you go this latter route, you'll be required to do all the work to add up the costs of your seeds, apply taxes, calculate shipping costs and you can only pay using a PayPal account. Ouch! As you might expect, they are Non-GMO. 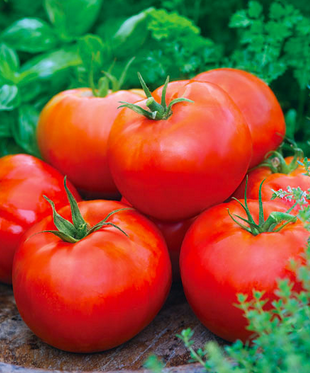 Johnny's Selected Seed - Johnny's has a wide selection of open-pollinated (Heirloom) and hybrid varieties. They also sell some unique garden tools. One of the main advantages of ordering from Johnny's is the amount of growing information they provide online. Johnny's caters to both backyard gardeners and more commercial operations. A small number of their seeds from are grown by Monsanto and may be GMO. Kitagawa Seed Company - This company specializes in Asian vegetable varieties -- Japan, China, Thailand, etc. If you want hot Thai peppers, adzuki beans, or Japanese pickling cucumbers, this is the place to go. 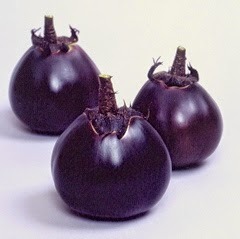 Kitagawa sells a very unique egg plant that our family loves called Kamo. They also sell Mirai sweet corn. Mirai is a hybrid corn but it is not GMO. We tried this variety last year and loved it. Raintree Nursery - An absolutely amazing variety of heirloom and hybrid fruits, nuts and berries. You can find everything from common place apples and strawberries to exotics that we've never seen before -- jujubes, paw paws etc. Raintree offers many of its fruit trees on several types of root stocks. That means you can choose a particular apple or peach variety on a tree that will grow to dwarf, semi-dwarf, or full-sized trees. Renee's Garden Seeds - Renee Shepherd is noteworthy for having selected varieties from around the world that are of particularly interest to food enthusiasts. Essentially, you get a curated garden seed experience because all varieties need to get Ms. Shepherd's stamp of approval before they're added to the catalog. You can buy seeds online or in select garden centers. Non-GMO. Sandhill Preservation (Seeds & Poultry) - This seed company is run by a husband and wife team whose mission it is to save rare varieties of heirloom seeds. They also sell rare poultry breeds including chickens, geese, ducks, and turkeys. 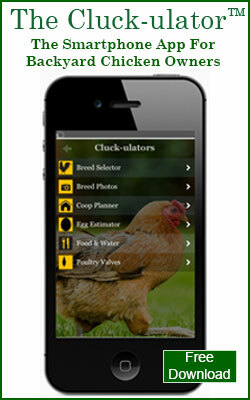 You can buy a particular poultry breed or buy an assortment from with a class of poultry and get a mixed flock of chickens. Since the poultry selection may be of particular interest to our readers, we're listing the breeds that Sandhill had available last year at the end of this article. However, please note that the web site is devoid of photos and ordering is done by printing out and order form and mailing it in along with payment. Even finding the ordering form is a procedure, so be prepared to jump through lots of hoops if you want to place an order. 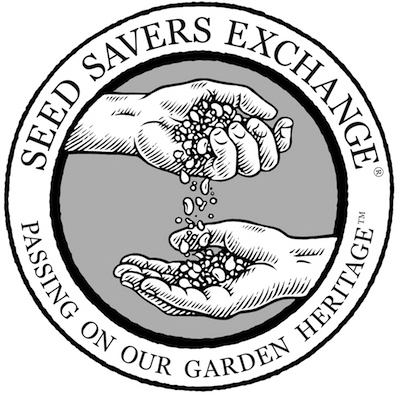 Seed Savers Exchange - Dedicated to preserving American heirloom food crops and fostering biodiversity, this non-profit maintains a modern web site and ordering is mercifully easy compared to J L Hudson and Sandhill. Anyone can order from the catalog but you can also support the goals of the organization by becoming a member. Members receive a discount. Non-GMO. Sustainable Seed - As with many of the other seed companies mentioned in this list, Sustainable Seed sells a large selection of open-pollinated heirloom seeds. However, what sets this particular company apart is it's large selection of heirloom cereal crops - wheat, rye, corn, barley, spelt, quinoa etc. Several years ago, we grew a very rare wheat variety called Frascinetto that is famous for making pasta flour. This is the only source I'm aware of that sells this and other such rare grains. 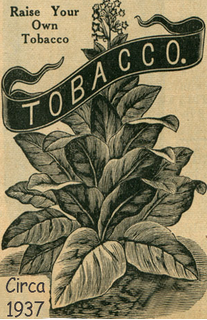 In recent years, I've also noticed that the company has been selling and increasing number of tobacco plant varieties -- honestly there are dozens and dozens of varieties from which to choose. I can't say for sure, but I suspect that smokers and now increasingly turning to growing and curing their own tobacco in order to avoid high sales taxes on cigarettes and cigars, etc. Non-GMO. Territorial Seed - This company specializes in seeds that do well in the Pacific Northwest. They sell the usual tomatoes and cucumbers etc. but are one of the few companies that sell a wild forest green called "Miners Lettuce" (Claytonia perfoliata) that is native to the Northwest. 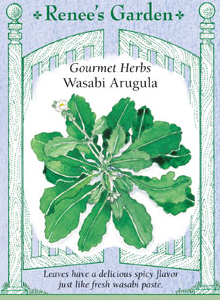 Considered by many to be a weed, this is a very mild green and that has become a staple in our household. 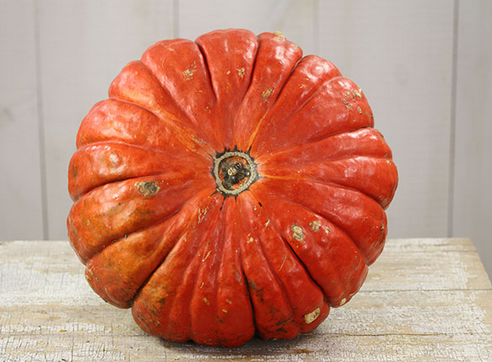 It's very high in vitamin C and easy to grow. We highly recommend it for gardeners looking for something new. It does well in cool climates and can be grown through the winter in places with mild climates. 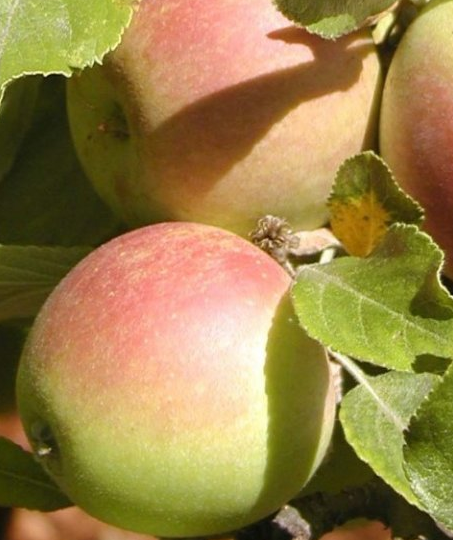 Trees of Antiquity - A very complete selection of heirloom fruit trees on semi-dwarf root stocks including: apples, plums, peaches, pomegranates, quince and many other fruits. If you are looking for the best fruit varieties, look no further. You can find Blenheim apricots, Cox's Orange Pippin apples, Crawford peaches and other varieties that offer real flavor but have been crowded off supermarket shelves because they don't store or transport well.